Say “I do” in the true home of romance and celebration! 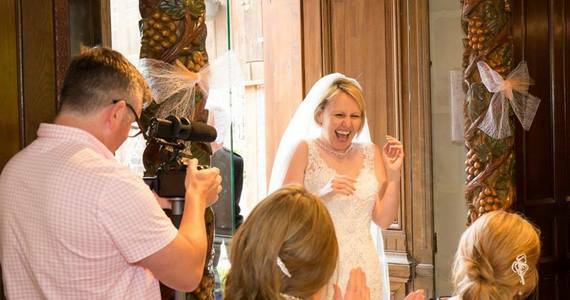 The all-inclusive guide price for our Wedding in Champagne France package is £19,950 based on 24 people. 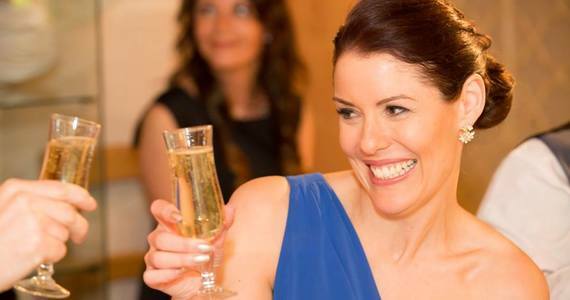 This fabulous two night wedding in Champagne France break is the ultimate experience for Champagne lovers. To tie-the-knot in true style in the company of twenty two of your friends and loved ones, we will whisk you away to the Champagne region in an executive coach from your home. Cross the channel with Eurotunnel, and the journey time to the vineyards is just three hours from Calais. We will arrange accommodation with breakfast in a gorgeous 4* boutique hotel in the centre of the quaint town of Epernay (the wine capital of Champagne and home to some of the region’s most famous Champagne Houses including Moët and Chandon, Pol Roger and Perrier-Jouët), and you will have the entire hotel including its twelve traditionally French style guest rooms to yourselves. You will certainly have the easiest of access to a limitless supply of bubbles, as the hotel is joined to a chic Champagne bar by way of a secret staircase! For larger groups, we can arrange accommodation in a range of alternative 3,4 and 5* hotels in the region. 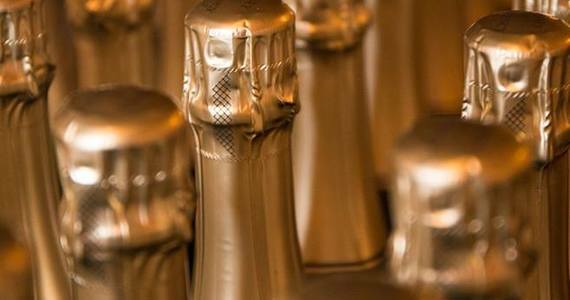 A three course Champagne tasting dinner will be served in a bustling French brasserie on the first evening, and each course will be served alongside a different Champagne. On the big day, the bride’s hair and make-up will be arranged at a salon in the town centre, and your English-speaking professional photographer will be on hand throughout the morning to capture the preparations. Flowers in your chosen style and colours will also be delivered to the hotel, and the groom and best man will be escorted the short distance to the venue in a luxurious Mercedes S Class. Your executive coach will transport to the wedding party to and from the venue. A traditional French four course wedding breakfast, accompanied by the equivalent of a bottle of Champagne per person will then be served in the dining room. 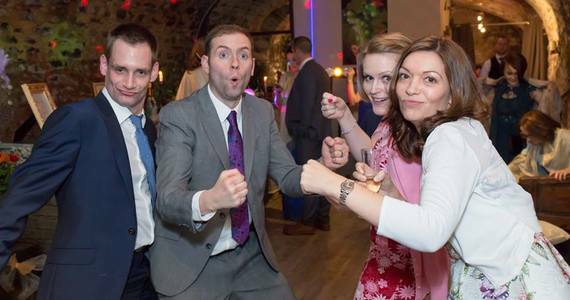 After your meal, the celebrations will continue with a disco in the cellars. A DJ will play all of your favourite party songs and you will have access to unlimited Champagne, draught beer and soft drinks for your guests. Your coach will take you back to the hotel at the end of the evening. Aftera leisurely breakfast and check out at the hotel on day three, your trip will end in style with a visit to the largest and grandest Champagne House, Moët and Chandon, where you will have a private VIP Dom Pérignon tour. You will be visiting some of the oldest areas of the cellars which are seldom visited by the public. A tasting of Dom Pérignon will conclude the visit in an elegant reception room at the Moët mansion. Head back to the UK after lunch, taking the Eurotunnel from Folkestone to Calais. A dedicated Grape Escapes wedding planner who will oversee all of the arrangements and will be on-hand throughout the event. Executive coach transport from the UK, with cross channel travel by Eurotunnel. Accommodation with breakfast for the bride and groom, and all of the guests in a 4* boutique hotel. A Champagne tasting dinner on the first evening. An English-speaking professional photographer to capture your special day. The full photography package also includes a fully edited online gallery and a luxurious storybook album. Flowers, including bouquets for the bride and bridesmaids and button holes for the groom and best man. Transport to the wedding venue for the bride and groom separately, luxury vehicles. Private hire of a boutique Champagne House for the day. 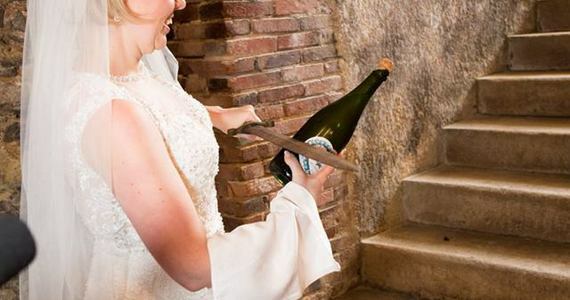 A symbolic wedding ceremony conducted by a representative from the Champagne region. 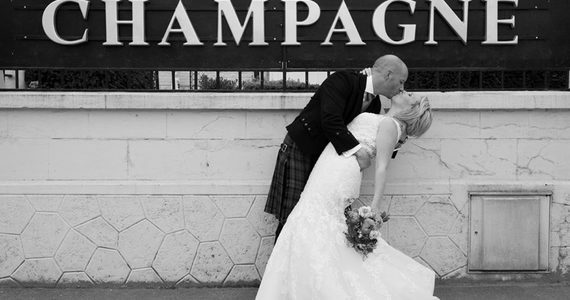 A guided tour of the Champagne House with the owner, and celebratory drinks reception with Sabrage for the bride and groom. 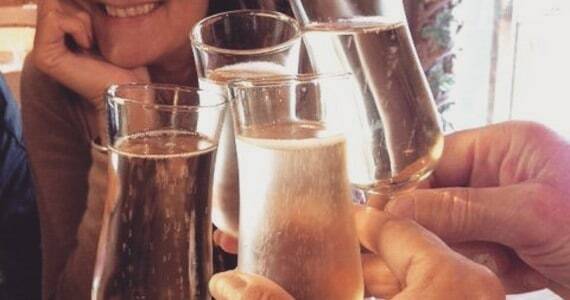 A four course wedding breakfast accompanied by the equivalent of a bottle of Champagne per person. A traditional French wedding cake. 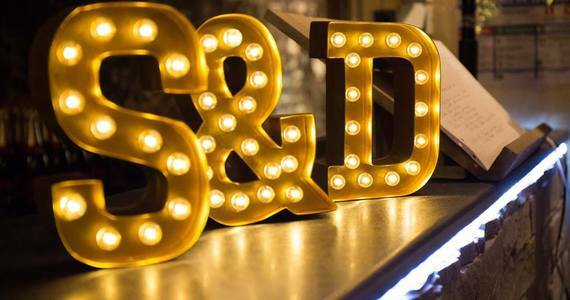 An evening disco with a DJ and unlimited Champagne, draught beer and soft drinks. A VIP Dom Pérignon tour at Moët and Chandon. 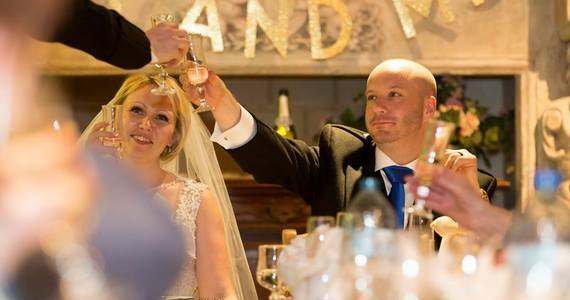 Our wedding in Champagne France package is fully customisable and the above itinerary is just an indication of the type of experience that we can arrange. For further information and discuss all of the options for your big day, please contact our wedding planning team on +44 (0) 1920 46 86 66 or at info@grapeescapes.net. Jenna turned our vision for the weekend into reality. Nothing was too much trouble, she pre-empted almost all of our questions and was a total superstar on the day. We couldn't have done it without her!